Hmmm..Haven't done one of these in a while. Last Tuesday , I won a pair of tickets to a #NNPremiereScreening (NN= Nuffnang , if you don't already know ). Instantly entered because wanted to watch the movie(of course) , I love all of John Green's books. So , right after work & dinner, le bf got us both to Paradigm Mall where I went to redeem our passes! 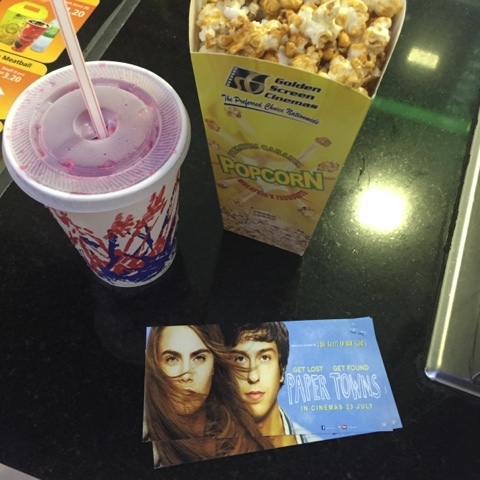 The #NNPremiereScreening of #PaperTowns is happening now and our Nuffnangers can't wait to visit it! It didn't stop us from enjoying the movie , though, & Spoilers up ahead! You guys might be glad to know that Paper Towns is not the tear-inducing book/movie “The Fault in Our Stars,” was. Le bf isn't fond of "movies like this", to which i assume are movies of the "chick flick" genre, but he seemed to enjoy this one tremendously. I already knew what was gonna go on in the movie (because i read the book!) but there were some differences. One that particularly annoyed me was the fact that they were supposed to find Margo in the barn at Agloe. To not confuse you , let me give you a little background story. Paper Towns is about Quentin Jacobsen , who has spent a lifetime loving his neighbour, the magnificently adventurous(and popular) Margo Roth Spiegelman from afar. So when she cracks open a window and climbs into his life- dressed like a ninja and summoning him for help in an ingenious campaign of revenge, he follows. The next day, she disappears - leaving behind cryptic clues for Quentin to decipher. The search leads Quentin and his friends on a roadtrip to track down Margo. The cast of Paper Towns is pretty strong.. There's Quentin (played by Nat Wolff) - "Q" to his friends , Margo's neighbor who falls in love with her. He's also nerdy enough to make one want to choke him, but charming at times , too .Then, there's Ben (Austin Abrams) the crude friend with his NSFW tall tales & jokes. Radar (Justice Smith), the sensible one, whose parents are trying to amass the world's largest collection of black santas ; Halston Sage as Lacey , Margo's best friend(ooh, she's pretty) . Jaz Sinclair as Angela , she wasn't actually present on the road trip in the book, but I'm glad the movie included her and gave her a little more substance than just being "radar's girlfriend"..
played by Cara Delevingne, the free spirited girl who... umm.. disappears for most of the movie but oh well, "she loved mysteries so much she became one", so to speak . However short her role may be ( and I wished they'd fleshed out her character a wee bit more so the audience wouldn't wonder why Q puts her on a pedestal) , Margo actually made quite an impression on me , perhaps because I saw a little bit of myself in her ; and also because I'm a huge fan of Cara and her many talents. She was the perfect representation of Margo, a little eccentric,fun somewhat mysterious ..But ultimately, I guess it was the way she delivered those lines (my favorite lines from the book) at the top of the Suntrust building that got me. "All those paper people living in their paper houses, burning the future to stay warm. All the paper kids drinking beer some bum bought for them at the paper convenience store. Everyone demented with the mania of owning things. All the things paper-thin and paper-frail. And all the people, too. I’ve lived here for eighteen years and I have never once in my life come across anyone who cares about anything that matters." As for Quentin and the rest.. hmm. They did deliver convincing performances, especially the impromptu performance of Pokemon by the three boys, and heaps of Ben's umm.. teenage charm. Radar was suitably dorky. But one couldn't help but miss Margo's unmistakable magnetism, so much that I felt she dominates the scenes that both Q and her are in . All in all, it really was a good movie, paired with an electic soundtrack, albeit it not being too deep/moving for me ( I was severely jarred by the fact that Margo didn't intend for Q to find her , I'm telling you!) ; It was earnest , cliche-averse,and defied many typical hollywood stereotypes. It wasn't as dark as John Green intended it to be in the book - as Margo was suspected to have killed herself, but it was still heartfelt. The movie also got me thinking..That well, sometimes , people aren't who we make them out to be . 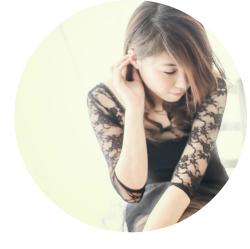 Sometimes, the closer you get , your image of them changes - for better or for worse, it's hard to say . "The Town was Paper, but the Memories were not"